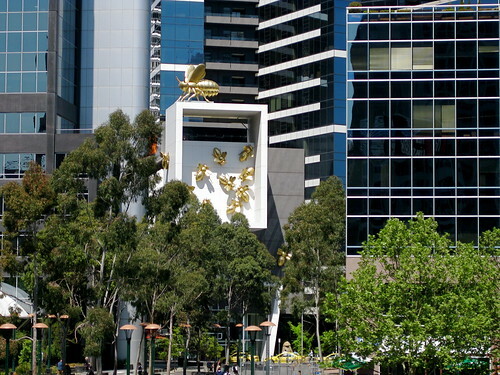 300-metre (984 ft), 91 storied, Eureka Tower, Melbourne - the tallest residential building in the World has been under attack by giant golden bees since 2006-07. 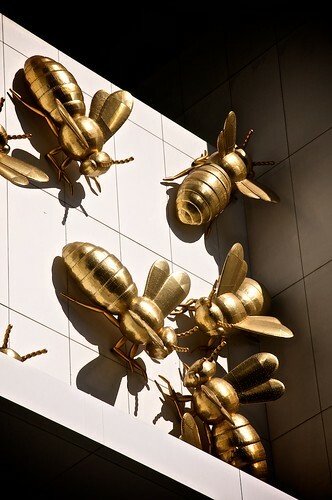 Designed by sculptor Richard Stringer and Architect Nonda Katsalidis, the giant bees are made from anodized aluminium sheet and their antennae and small legs are of cast aluminium. 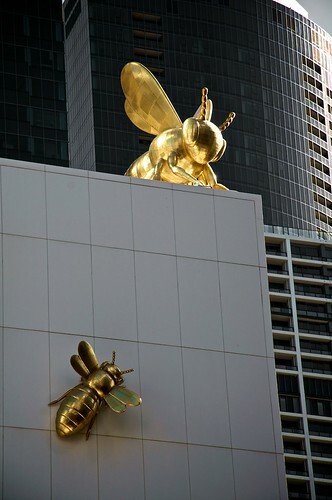 The sheets are riveted together using 110,000 anodized rivets. 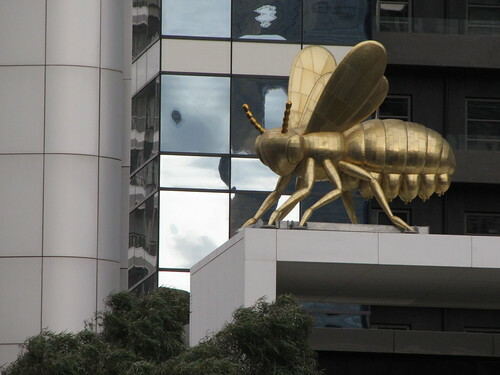 Special bolts known as 'Hollo Bolt' were used to fix these giant bees on the structural steelwork. 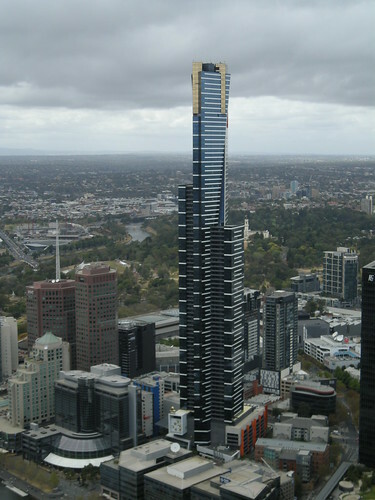 Note: While Wikipedia rates it as tallest high-rise building for residential use, Emporis rates this building as 4th tallest. 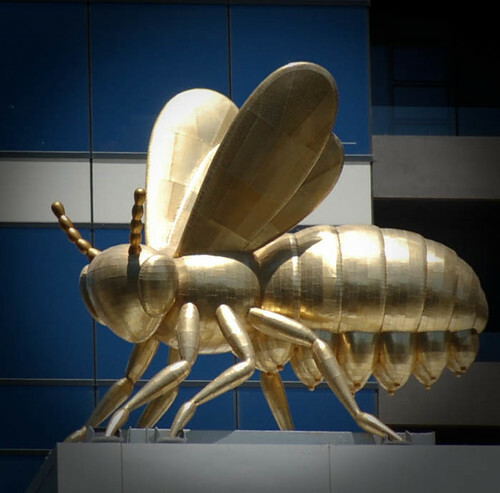 This discrepancy may be due to the criteria used, which is explained in the Wikipedia referred above.